Friedrichshafen Airport (also known as Bodensee Airport) is located 3 km from the German town of Friedrichshafen on the shores of Lake Constance (Bodensee). The surrounding region is very wealthy, with picturesque cities and towns as well as numerous resorts. Therefore, the airport mainly serves passengers traveling on vacation, though business travellers use it as well. 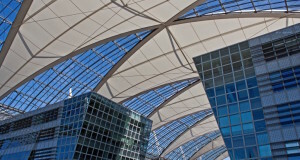 Several major as well as budget airlines connect the Lake Constance region with many large European cities: Berlin, Hamburg, Frankfurt, Cologne, London, Vienna, Istanbul and others. However, most of the flights are seasonal. While local Germans use Friedrichshafen Airport to travel mostly to the Mediterranean destinations in the summer, many Europeans use its favorable geographical location to travel to Alpine ski resorts in Germany, Switzerland and Austria from November to March. 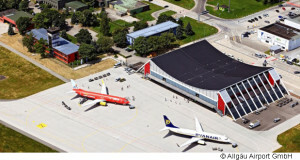 This airport can also be used by overseas travellers, for example, one can fly with Lufthansa via Frankfurt or with Turkish Airlines via Istanbul. Why exactly is Friedrichshafen Airport convenient? In the winter, ski lovers fly in here to get to the Alpine resorts in German and Austrian Allgäu as well as in the eastern Swiss Alps. Here are the approximate distances from the airport to some of the ski resorts: Oberstaufen in Allgäu (Germany) – 60 km (37 mi), Oberstdorf (Germany) – 90 km (56 mi), St. Anton in Arlberg (Austria) – 130 km (80 mi), Flims and Davos (Switzerlan) – about 150 km (93 mi) both. There is no problem with renting a car at the airport, all major rental companies are represented here. The infrastructure and public transportation are also well developed. Friedrichshafen Airport is connected by rail with the city of Friedrichshafen, local trains run hourly. 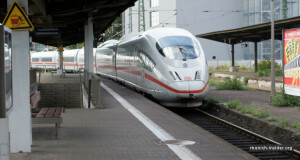 The nearest big German city, Ulm, can be reached from the airport by train in about an hour. Several bus companies, Allgäu-Walser-Express, Arlberg Express and others, provide passenger transfers directly to the resorts and back. Travellers are brought to and picked up from the hotels in the resort town. Bus schedules can be checked online, it is also possible to book tickets in advance. 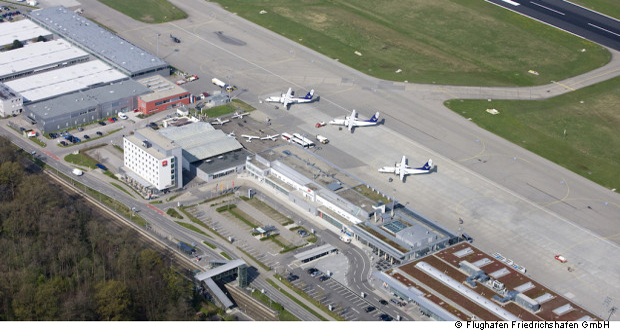 In general, for many travellers, small and comfortable Friedrichshafen Airport can be a good alternative to the traditional tourist routes via major European airports.